1. Always remember to read from the bottom left corner. 3. If the question ask for the six-figure grid reference or grid square of a particular building, e.g. the Hindu temple shown in Fig 2. Start by finding the grid square with the feature, then divide the grid square into 10 equal parts along both the northings and eastings. Place a ruler onto the bottom left corner of the feature, e.g. the Hindu temple is located at 266727. Read the number for the easting first (from the X axis) and then the northings (from the Y axis). To measure the direction of one point to another, draw a straight line connecting them. Read the question carefully– if the question ask you the direction of B from A, then draw a + sign at A and read the direction from A. Draw a straight line connecting the 2 points. Draw a + sign at where you are taking the bearing from. Place the protractor at the + sign with 0° facing north and then read the bearings from the point starting from 0° (north) clockwise as shown in Fig.4. The height of a place above sea level can also be indicated by the contour lines. Contours are imaginary lines connecting areas of the same height above sea level on a map. The contour lines can be used to show the relief of a place such as whether the slope is gentle or steep. The spacing of the contours indicate the steepness of a slope – the closer the contours the steeper the slope and vice versa. 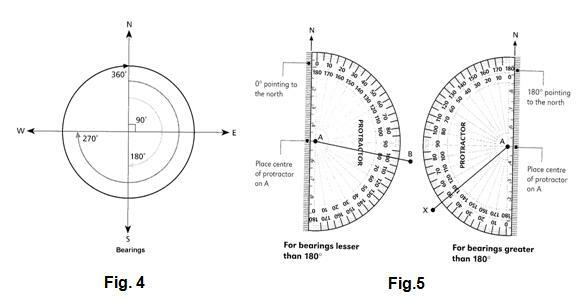 c) escarpment – continuous line of steep slope at the edge of a ridge or plateau.Guide to describing reliefGive the average height ( or the range of height) of the relief of the area and state the height of the highest point. 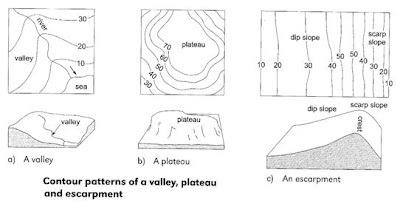 (a) state whether it is mountainous or hilly or whether it is part of a plateau. Point out and describe any relief feature that stands out in the area and state its location on the map. (b) Describe the slopes in the area. States whether they are concave. Convex, uniform, steep or gently sloping. The height of the area ranges from below 10 metres near to the coast to 548 metres in grid square 8483. The main relief feature is T Mountain which is in the western part of the area. As the mountain extends to the south-east, it becomes narrower and its height decreases. This part of the mountain has two peaks of heights about 240 metres in grid square 8582 and about 110 metres in grid square 8682. This part of the mountain also has two spurs from grid square 8583 to 8683 extending from south-west to north-east. The contours of T Mountain are very close together in the area west of easting 85. This indicates that the slopes are steep. The spacing of the contours on the eastern side of the mountain is wider. The slopes here are therefore less steep. Identify the two points which the measurement is taken from and the height above sea level for the two points. You can either refer to the spot heights, the bench marks or the contour lines. Calculate the height difference (vertical distance) of the two points. Measure the distance of the 2 points on the map. Convert to actual distance by referring to the line scale or using the map scale ie. 1: 50,000 means 1 cm on the map represents 500m in actual distance. Gradient is expressed in ratio form – vertical distance: horizontal distance ie. 1: 30 - which means for every 1 metre increase in vertical distance, there is an increase of 30 metres in horizontal distance. b) Linear – arranged in a line, usually along a mode of transport ( rail, road) or waterway (river, coast) to take advantage of the accessibility and resources. 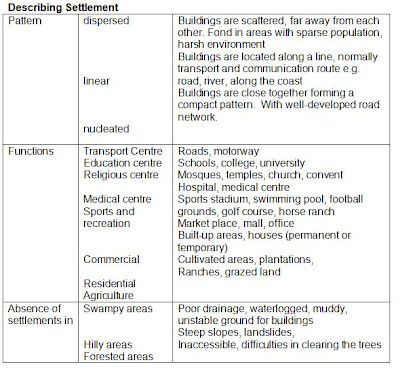 Choice of site for the location of airport, plantation, settlement etc. Availability of large area of flat land, ability to expand, very accessible e.g. near to rail or roads, availability of services or resources – remember to look closely at the map symbols on the map and refer to the legend of the map. Suggest why the Airport/Air landing strip was built at ______________. Away from settlement as tall buildings can be a hazard to planes taking off or landing. There is also noise pollution from airport. Describe the pattern and location of land use. The towns are located along the coast on low relief, as seen between Easting ______and ____, and Northing _______and __________. Agricultural activities are generally located on low relief near sources of water such as rivers, as evident in grid square ________. The area could possibly be a tourist area as the towns are located near the beach and corals. The tourists can participate in water sports near the beach and can go for snorkelling or diving near to corals. With the use of evidences from the map, explain why tourist industry is the most important economic activity for the people living in the area. Remember to quote the grid reference for the above! Describe and explain the relationship between the relief, and the transport and communication infrastructure. The transport and communication infrastructure seen in the topographical map extract consists of roads and footpaths. These are located on flat land. As the roads and footpaths connect and service settlements and plots of cultivation, as seen between Easting _____and ___and Northing ____ and ______, they tend to be on low relief. This is because the low relief makes it easier for the roads to be constructed. Describe and account for the location of the area used for food production in the map. The main food production is the growing of sugar-cane to be made into sugar as shown by the presence of large area under sugar plantation and the presence of sugar mill in grid square ________. The sugar plantations fill most of the area shown. This is probably because of the relatively low relief and the gentle slopes of the area which make these areas accessible. No sugar plantations are found in areas of high relief and steep slopes found in grid squares ______and ______. The roads are important for the transportation of sugar-cane to other settlements for refining or for sale. It also allows workers to be transported from their homes to the plantations and back. They are generally located on areas of low relief and gentle slopes because these conditions make the infrastructure easy to construct. Describe the distribution of agricultural activities in the part of the map south of Northing 66 and west of Easting 10. · Most of the agricultural areas are found at lower altitudes below 200 metres / flatter land along the River Grande where the contour lines are spaced further apart. · The banana plantations tend to be found on the western bank of River Grande north of northing 63, and to the eastern bank south of northing 63. · Mixed or scattered cultivations occupy most of the areas east of the Class C road as well as on the slope of Samba Hill west of easting 03 where the land is more gently sloping and a number of watercourse/river provide water for irrigation. · Agricultural land is generally not found to the west of Easting 07 and south of northing 63 which is dominated by woodland, trees and scrub instead. Port Antonio is one of the popular tourist areas in Jamaica. What are two possible reasons why tourists choose to visit this area? Provide evidence from the map to support your answer. The place is accessible as there is presence of roads and jetties which made the place accessible. The place has natural attractions such as the Ship Head and Bryans Bay, coral reefs and forest. They can view the scenic beauty of the place and relax. There are facilities such as hotel (e.g. at 133691) for the tourist. Describe the impacts of tourism on people living in Port Antonio with reference to map evidence. 22 Response to "Notes on Map Reading"
Thank you so much for this guide!! THANK YOU,THIS IS GOING TO HELP ME IN MY UP COMMING EXAM. THANK YOU FOR THIS GUIDE, IT WOULD HELP ME I MY FURTHER STUDIES AND EXAMS. May the good lord bless you so much for this has helped me alot! :-) please continue making these notes! awesome it is, simple and precise for whoever. for god and my country. 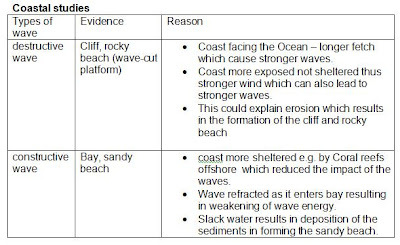 Hi hi, I find the notes very useful and it will definitely help my son with his Geography Sec 1. 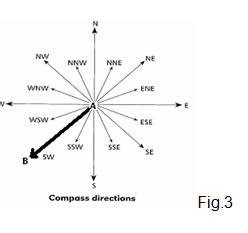 I refer some of the notes e.g notes on map reading, there are blanks in between the notes, where can I find the answers to fill in the blanks?